How to sustain our world for future generations has perplexed us for centuries. We have reached a crossroads: we may choose the rocky path of responsibility or continue on the paved road of excess that promises hardship for our progeny. Independent efforts to resolve isolated issues are inadequate. 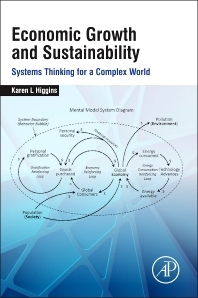 Different from these efforts and from other books on the topic, this book uses systems thinking to understand the dominant forces that are shaping our hope for sustainability. It first describes a mental model - the bubble that holds our beliefs - that emerges from preponderant world views and explains current global trends. The model emphasizes economic growth and drives behavior toward short-term and self-motivated outcomes that thwart sustainability. The book then weaves statistical trends into a system diagram and shows how the economic, environmental, and societal contributors of sustainability interact. From this holistic perspective, it finds leverage points where actions can be most effective and combines eight areas of intervention into an integrated plan. By emphasizing both individual and collective actions, it addresses the conundrum of how to blend human nature with sustainability. Finally, it identifies primary three lessons we can learn by applying systems thinking to sustainability. Its metaphor-rich and accessible style makes the complex topic approachable and allows the reader to appreciate the intricate balance required to sustain life on Earth. 9.1. Sustainability solutions: systemic or suboptimal? Dr. Karen Higgins has a B.S. in Mathematics, M.S. in Electrical Engineering, and an MBA and PhD in Executive Management. She has extensive experience in executive leadership and in leading research and engineering teams. Throughout her 32-year career with the Naval Air Warfare Center, Weapons Division at China Lake and Pt. Mugu, California she held technical, functional, project and executive management positions for efforts that integrate state-of-the-art and commonly-used weapons systems onto some of the newest jet fighter aircraft. As a member of the Senior Executive Service, she was one of the most senior civilians within the U.S. Department of Defense. In her Executive Director and Director for Research and Engineering roles, she had responsibility for a $1B budget and over 5,000 employees. She has received the highest civilian awards for her services to the Navy and the Department of Defense. As President of ÉLAN Leadership Concepts, Dr. Higgins serves as a leadership consultant for government and industry. She is an adjunct professor at Claremont Graduate University, where she teaches Project Management, Systems Thinking, and Morality & Leadership. She enjoys her grandchildren, practices yoga, does research, and writes. Her recent book, Financial Whirlpools (2013), analyzes the financial crisis of 2008-2009 using a systems perspective. 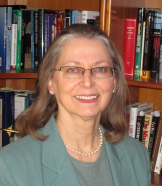 Her second book, Economic Growth and Sustainability (in print, 2014), investigates the relationship among Economy, Environment and Society also using a systems perspective. On a personal note, she enjoys ballroom dancing and "loves, loves, loves" the LA Clippers!